India's largest bank is using technology and banking correspondents in a big way to take financial services to remote areas. Kalim Khan, 26, cycles to every nook and corner of the Aul block in Kendrapara district, some 100 km from Bhubaneswar, the capital of Orissa, to sell ITC's Mangaldeep agarbattis, Sunfeast Yippee noodles, Fiama/Vivel soaps and Aashirvaad flour. Till a year ago, the college dropout with a family of close to a dozen to support, was unemployed. His life changed after he enrolled for 15-day training at State Bank of India's (SBI's) Rural Self Employment Training Institute (RSETI) that it conducts under tie-ups with big companies such as ITC "Our household income has doubled. I have also taken a bank loan of Rs 50,000 to expand my business," says a beaming Khan, who earns up to Rs 8,000 a month. Khan's younger brother is now eagerly waiting for the next training programme in the district so that he, too, can join. 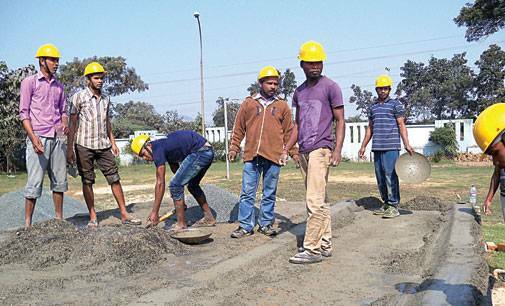 Khan is among the 139,805 rural youth who have got employed out of the 295,830 that SBI has trained since 2009 at its 11,160 RSETI programmes across 116 branches. It has, over the past one year, substantially scaled up the initiative by tying up with several companies such as Larsen & Toubro, Kansai-Nerolac Paints, Ambuja Cements and TVS Motors. The aim is to generate opportunities for people at the bottom of the pyramid. Such initiatives, plus the sheer reach of its 16,000-plus branches (of which 66 per cent are in rural and semi-urban areas) and one-fifth credit exposure to agriculture and small and medium enterprise, or SME, segments, got SBI selected as the best in financial inclusion initiatives in the Business Today-KPMG Best Bank awards for 2015. SBI's financial inclusion initiatives date back to 1951, when the first Five-Year Plan was launched. Until then, commercial banks, including SBI's earlier avatar, Imperial Bank of India, used to focus primarily on urban India. However, it was in 1973 that these initiatives started getting really big and the bank started involving all its branches in a large number of welfare activities and social causes. It was, for instance, among the first ones to support self-help groups. It has also become a serious player among banks in encouraging self-employment in rural areas through RSETI. More recently, it was at the forefront of opening no-frills accounts under the Prime Minister Jan Dhan Yojana (PMJDY). SBI's seriousness about skilling of rural youth can be gauged from the fact that it keeps track of its students for two years to check on their development and ensure that they are employed. It is also using the RSETI platform to teach people about banking. "Financial inclusion is in the DNA of SBI employees," says a former chairman of SBI. India's largest bank has been actively covering inaccessible villages through its banking correspondents or BCs. BC is a representative authorised to offer services such as cash transactions in areas where the bank does not have a branch. SBI, a pioneer in this, has close to 60,000 customer service points. "Apart from being cheap, the model creates employment for BCs, who receive commission from the bank for each and every service that they offer," says Rajnish Kumar, Managing Director (National Banking Group), SBI. "We had a three-year financial inclusion plan for covering villages and panchayats. It started with places with a population of 10,000 and then came down to 5,000 and then to 2,000. I can say we have 100 per cent achieved our objective of financial inclusion," he says. SBI had 85 million financial inclusion accounts, of which 44.5 million were under the PMJDY, as on September 2015. Close to 50 per cent accounts under the PMJDY are active. The average balance is Rs 700. "Once more and more funds start getting transferred into these accounts under the Centre's direct benefit transfer scheme, they may become more active," says Kumar. The reason Kumar is sure about this is the integrated approach adopted by the government. "It's not just an account. It comes with credit linkage and insurance too," he says. SBI has already disbursed Rs 5,000 loan each to 170,000 account holders in the category. "All account holders under the PMJDY are eligible for the loan. But we lend only when we see regular transactions for six months." He adds, "We are being careful in lending as we can't just burden the people with debt. We also have to see if they can repay". SBI has, since 2009, trained 295,000 people at its RSETI programmes. Kumar says the PMJDY accounts are not going to be a loss-making proposition for the bank. "These are sticky accounts, and once opened will stay with the bank for long. For instance, even if there is Rs 1,000 crore in these accounts, it gives the bank an income of Rs 50-60 crore," says Kumar. The math is simple. The bank pays the savings bank rate of 4 per cent and deploys the money at 9-9.5 per cent. "We are sure about recovering the money over a period of four-five years," he says. SBI, like other banks, is betting big on digital channels, especially mobile, to reach out to people in rural and semi-urban areas. "We want small value transactions and small deposits and remittances to come through the digital channel," says Kumar. Last August, it launched its digital wallet, Buddy, for smartphone users. It is also planning to launch a similar version for feature phones to reach out to the masses. "By February-end or March we will roll out our mobile offering for phones with basic features that will be sufficient for making small payments such as buying tickets or paying for daily needs," says Kumar. SBI is also not losing the opportunity to use the new differentiated banking licence route to achieve its financial inclusion goals. It has taken a 30 per cent stake in Reliance Industries-owned payments bank that will roll out soon to provide services in unbanked areas. 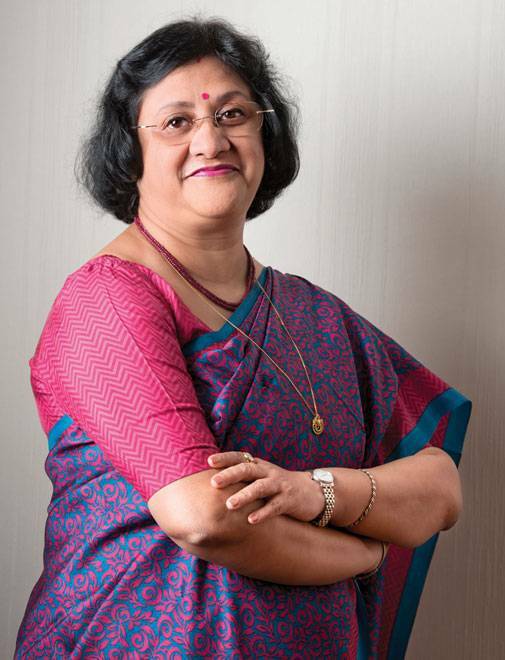 SBI wants to touch the lives of people in many ways, but there is a high cost attached to financial inclusion initiatives, which is one of the reasons why private sector banks are not big in the space. Its aim is not only to reach people at the bottom of the pyramid but also to offer them credit, savings, investment and insurance products. "When we talk about rural and semi-urban areas, what they currently require is a basic bank account, ability to receive money in the account, small credit and social security through government pension schemes, and personal accident and life insurance. Investments are nowhere on the horizon," says Kumar. While SBI is using every opportunity to serve the unbanked, it is also conscious of the risks. In fact, agri and SME loans are among the biggest contributors to the deteriorating asset quality. Both contribute 9 per cent each to the bank's gross non-performing assets. "It's not just about bringing more people into the banking system and giving them loans for income generation. We also have to see that they generate sufficient income to repay the loan," says Kumar.